We often think of browns and grays as drab colors, especially in the overcast days of winter. 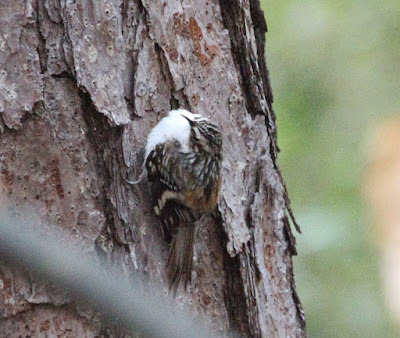 But these colors also help birds hide in the winter months! The Brown Creeper's dark brown patterned feathers not only make this bird stunning, they are the perfect camouflage when the creeper sits still on a tree trunk to escape the eyes of a predator. 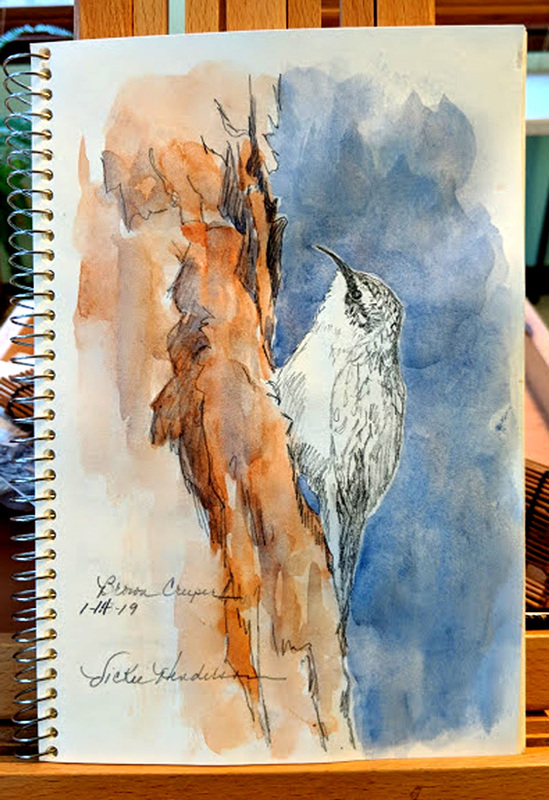 For more about the Brown Creeper, visit Vickie's Sketchbook--Stunning Brown Creeper.